STEWART: Julian Franklin’s Take Me to Your Readers! 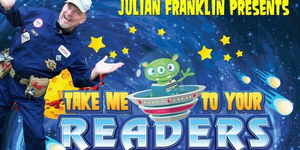 Join Julian Franklin in his hilariously engaging program including robots, puppets, magic tricks and fun! Recommended for children, ages 5-12.